On April 10, 14:35 UTC Educational Codeforces Round 42 will start. This round will be rated for Div. 2. It will be held on extented ACM ICPC rules. After the end of the contest you will have one day to hack any solution you want. You will have access to copy any solution and test it locally. You will be given 7 problems and 2 hours to solve them. The problems were prepared by me and Alex fcspartakm Frolov. We'd like to thank Nikolay KAN Kalinin, Grigory gritukan Reznikov, Vladimir Vovuh Petrov for the testing and help in preparing the round. 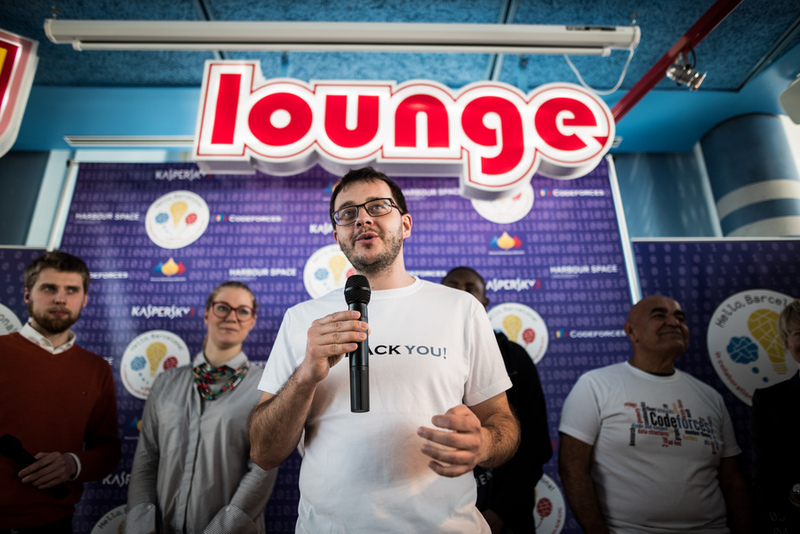 The third Hello Programming Bootcamp finished as teams from around the world learned, competed, and got to know each other in the cities of Kollam and Moscow. “I'm positively surprised with the level and number of Indian teams. 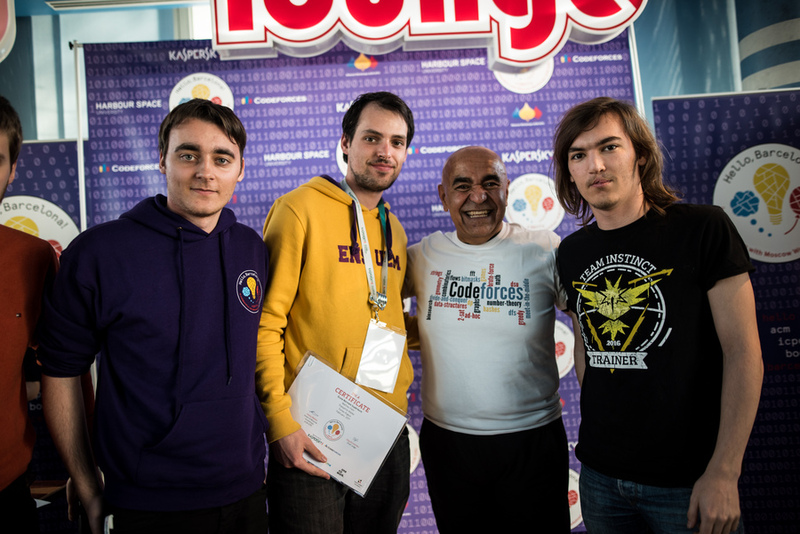 I believe when following a systematic and regular training schedule — they will certainly attend top world records in programming” says Mike MikeMirzayanov Mirzayanov. 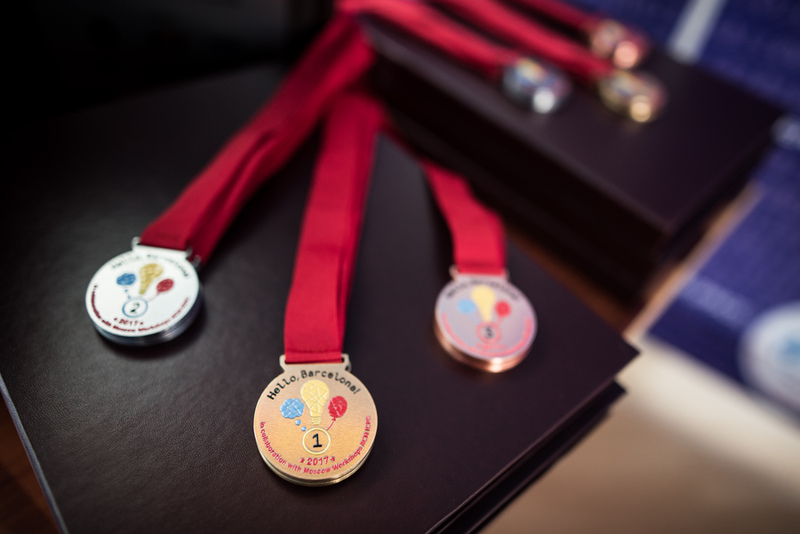 We would like to congratulate the top teams from the India side in both divisions A and B — and especially recognise division A’s winner: Team SDV — Vasily platypus179 Alferov, Vaibhav gvaibhav21 Gosain, Motasem Motarack AL-Kayed sponsored by Social Discovery Ventures, and winners of the Educational Codeforces Round 39. The division A winners are: Team SDV (platypus179, gvaibhav21, Motarack), TheVindicators (IIIT Kharagpur) (evil666man, Chenghiz), DomiNUS (NU of Singapore) (vodanhna, darknsux, minh141198). 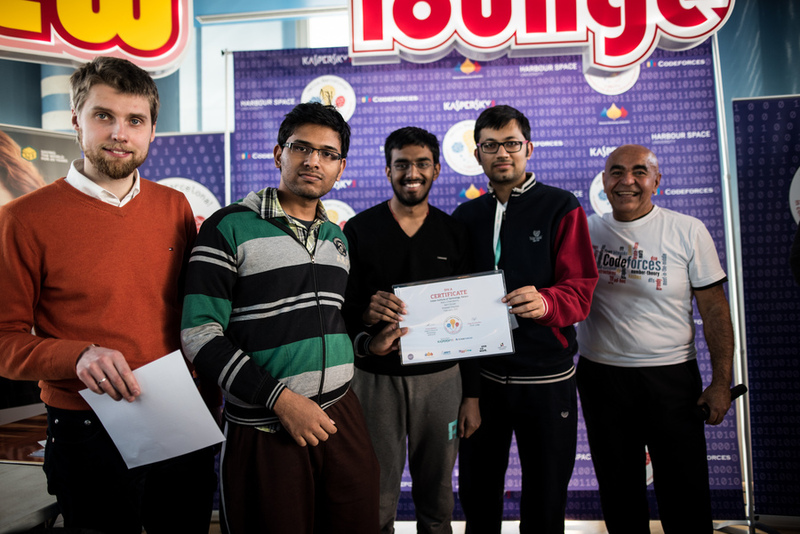 The division B winners are: BEU Programmers (Baku Engineering University) (mahmud2690, Mamedov, fuck_coderinuse), Penza State University (Fortin, WooDeND, Key_J) and Sab_lite_hai (IIT(BHU),Varanasi) (Enigma27, Dsingh_24, nitishk24). 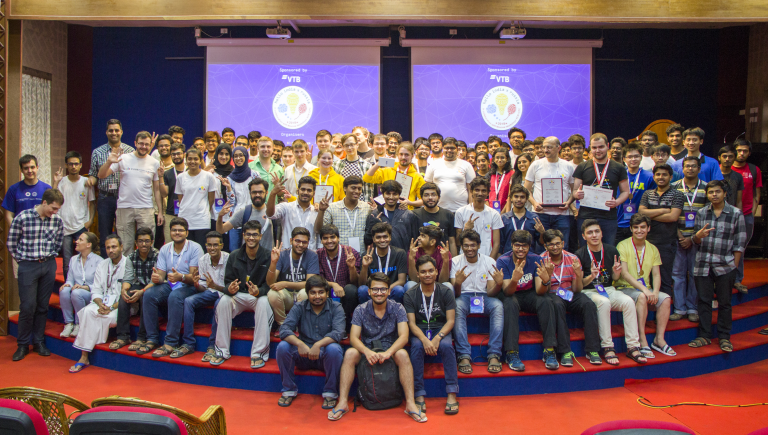 From the ever present in ACM World Finals city of Moscow, to the new-comer on the world stage city of Kollam — Hello India x Russia Programming Bootcamp showcased heart, passion, and a universal drive towards a better competition. “It's the first time I participate at Hello ACM-ICPC Bootcamp in Asia and I admire local hospitality and students motivation. 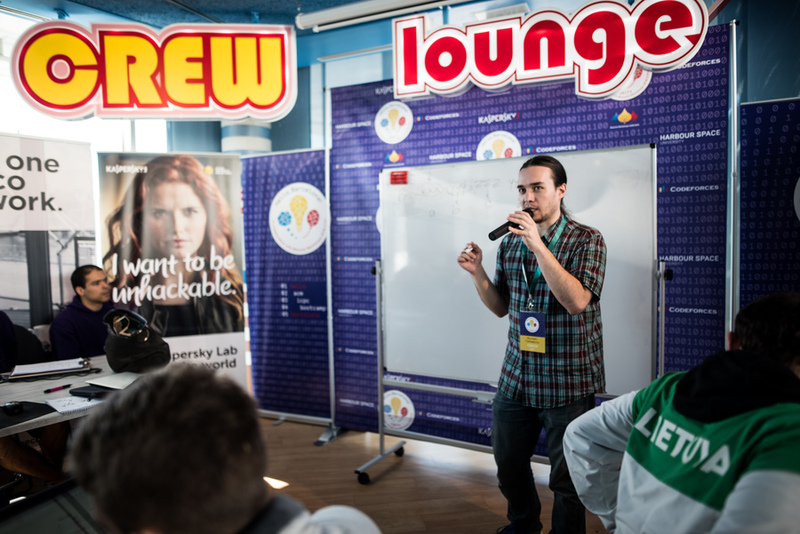 Everyone seems to be eager to learn, participants stay very late upsolving the contest problems and revising the topics they were thought during the day” states Gleb GlebsHP Evstropov, The Coordinator of the Programming Committee. The latest in world finals simulation training would not be possible without the bronze sponsorship of VTB, the institute with the most extensive international network of any Russian bank, boasting more than 30 banks and financial companies in more than 20 countries. Fill out this form and we will keep you up to date on our next boot camp! On April 04, 17:05 MSK Educational Codeforces Round 41 will start. The problems were prepared by Roman Ajosteen Glazov, Adilbek adedalic Dalabaev and me. We'd like to thank Mikhail PikMike Piklayev and Ivan BledDest Androsov for the help in preparing the round. 518 successful hacks and 491 unsuccessful hacks were made in total! On March 22, 9:05 MSK Educational Codeforces Round 40 will start. This will be a special round, branded by VTB and the Hello India x Russia Programming Bootcamp. 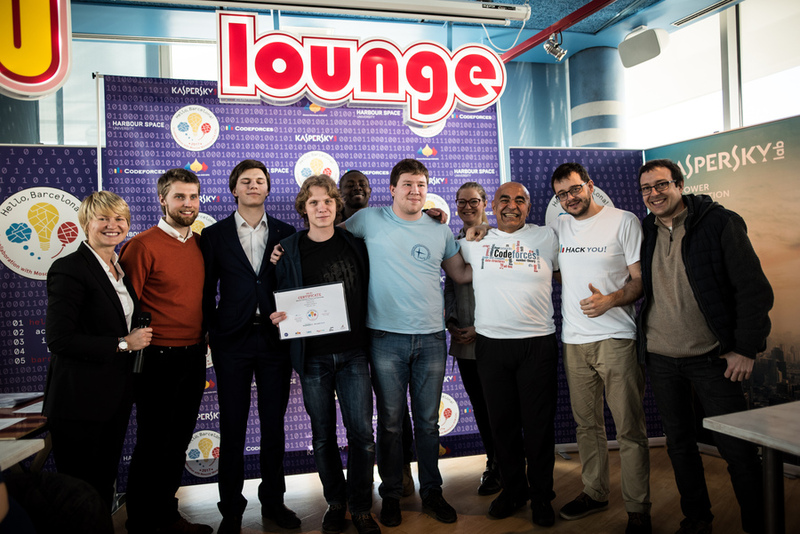 This round is held in collaboration with Hello India x Russia Programming Bootcamp and supported by the premier and international bank VTB, based in Russia. Over 100 participants from the India side of the boot camp will be competing as individuals in this special online round! JSC VTB Bank was founded in 1990, and its subsidiary banks and financial organisations (VTB Group or the Group) are a leading Russian financial group, offering a wide range of financial and banking services and products in Russia, the CIS, and a number of countries in Europe, North America, Asia, and Africa. VTB Group has the most extensive international network among all Russian banks, including more than 30 banks and financial companies in more than 20 countries. The round will contain 9 problems, and you will have 3 hours to solve them. Problem authors are GlebsHP, Vovuh, PikMike, Sahaand and me. We wish all of the participants good luck! Hope all of you will find something interesting in this contest. 1341 successful hacks and 1475 unsuccessful hacks were made in total! On March 06, 18:05 MSK Educational Codeforces Round 39 will start. 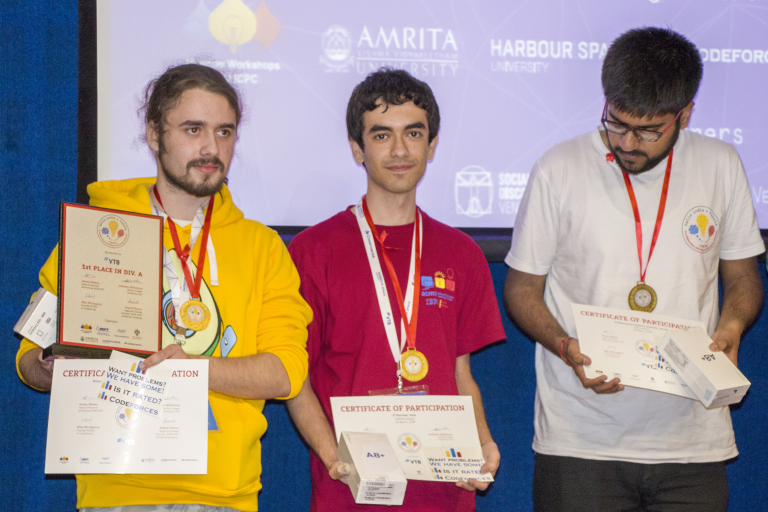 This is a special Educational Round — Top three contestants among those who are eligible for participating in ACM ICPC will be invited to attend the Hello India x Russia Programming boot camp under the Codeforces + SDV banners, on a full team sponsorship. Social Discovery Ventures (SDV) creates, develops and funds Internet projects specialising in communication platforms that enable people across the world to get closer and expand their social networks. The winners will be fully sponsored with their boot camp participation fees, accomodation, and meals for the India location! This round also has a special regional prize — the company Phaze Ventures, a platform founded to transform the region by unlocking the untapped potential of our youth, startups and corporates, will be sponsoring the top 3 participants of this round from Oman (also among those who are eligible for ACM ICPC) — further sharing the importance of supporting talented programmers and sending them to these types of events throughout the world. The round will be rated for Div. 2. It will be held on extented ACM ICPC rules. After the end of the contest you will have one day to hack any solution you want. You will have access to copy any solution and test it locally. You will be given 7 problems and 2 hours to solve them. Problem authors are PikMike, Vovuh and me. Good luck to the participants! Hope you will enjoy the contest. UPD: The tutorial has been published. On February 16, 18:05 MSK Educational Codeforces Round 38 will start. This round will be rated for Div. 2. It will be held on extented ACM ICPC rules. After the end of the contest you will have 12 hours to hack any solution you want. You will have access to copy any solution and test it locally. The problems were prepared by Ivan BledDest Androsov, Sahand Sahaand Alitanloo and me. Thanks Mike MikeMirzayanov Mirzayanov for great system Polygon! UPD: Since there will be another Div. 2 contest soon, the hacking phase will be shorter (only 12 hours). Before CF Round 464 we will actualize the registrations in such a way that Div. 2 will be officially registered, and Div. 1 participants — unofficially. We are excited to announce that some of the world’s strongest teams will come to our Hello India x Russia Programming Bootcamp: MIPT and all top India’s Universities that qualified to the World Finals! As always, the boot camp isn’t only about the training — we’re in the process of getting renowned keynote speakers from all over the globe to come and speak about life and all the opportunities at your fingertips after ACM-ICPC. We look forward to seeing you all there this spring! For those of you who haven't registered, there's still time. On February 02, 17:35 MSK Educational Codeforces Round 37 will start. As usual, the round will be rated for Div. 2. It will be held on extented ACM ICPC rules. After the end of the contest you will have one day to hack any solution you want. You will have access to copy any solution and test it locally. You will be given 7 problems and 2 hours to solve them. The problems were prepared by Mikhail PikMike Piklyaev, Vladimir Vovuh Petrov, Adilbek adedalic Dalabaev and me. One of the problems was proposed by unbelievable02. We are happy to announce the addition of two new coaches to our Hello India x Russia Programming Bootcamp: Gleb GlebsHP Evstropov, Artem VArtem Vasilyev and Filipp DPR-pavlin Rukhovich will all be attending at our India location, Amrita School of Engineering. The Early Bird discount will be set at 20% for those who register before February 12th, 2018. On January 13, 16:05 MSK Educational Codeforces Round 36 will start. This round will be (traditionally now) rated for Div. 2. It will be held on extented ACM ICPC rules. After the end of the contest you will have one day to hack any solution you want. You will have access to copy any solution and test it locally. The problems were prepared by Mikhail PikMike Piklyaev, Ivan BledDest Androsov, Sergey sslotin Slotin and me. As we get ready to dive into the second week of the year, we want to update you all on the upcoming Hello India x Russia Programming Bootcamp! So far 25 teams have registered, with more signing up daily. As a reminder, the boot camp will take place from March 22nd to March 30th, 2018, at the Amrita School of Engineering campus, India. 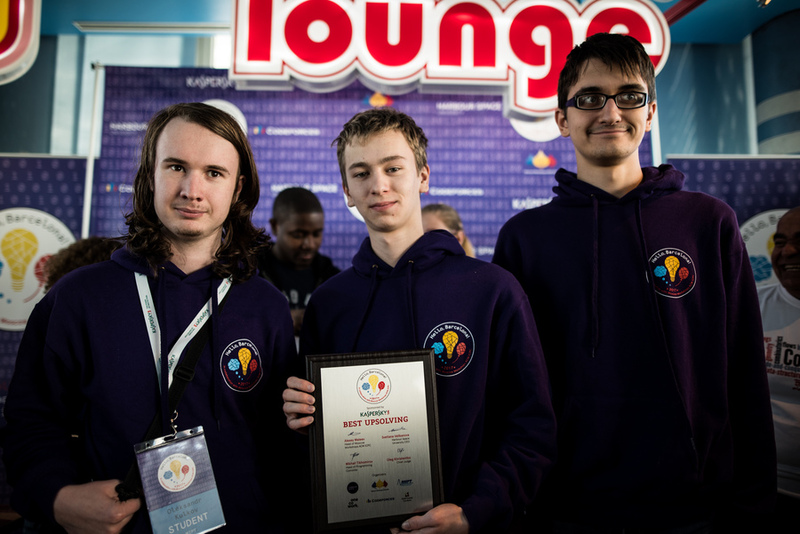 The Coordinator of the Programming Committee, and head coach will be two time ACM-ICPC world vice-champion Gleb GlebsHP Evstropov. For those of you who need financial support for the boot camp, please fill up the register form, then we will contact you and prepare an official sponsorship request letter for you to present to your University, University’s IT partners or your potential employer. 2023 successful hacks and 1300 unsuccessful hacks were made in total! On December 28, 17:05 MSK Educational Codeforces Round 35 will start. The problems were prepared by Ivan BledDest Androsov, Vladimir 0n25 Petrov, Alexey Perforator Ripinen and me. 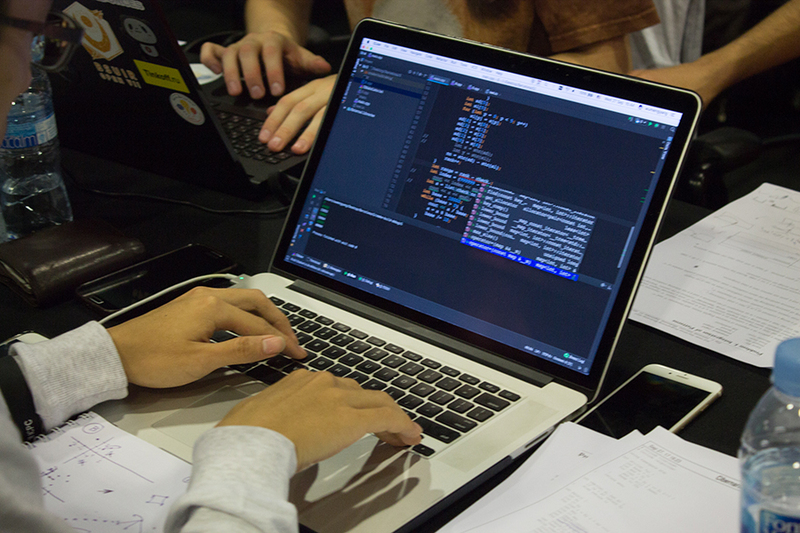 Registration is open for our upcoming 1st Hello India x Russia Programming Bootcamp, with 20 teams signed up and counting, and we are looking forward to seeing you and your teammates in India this March! UPD: There will be 7 problems! 1761 successful hacks and 1237 unsuccessful hacks were made in total! 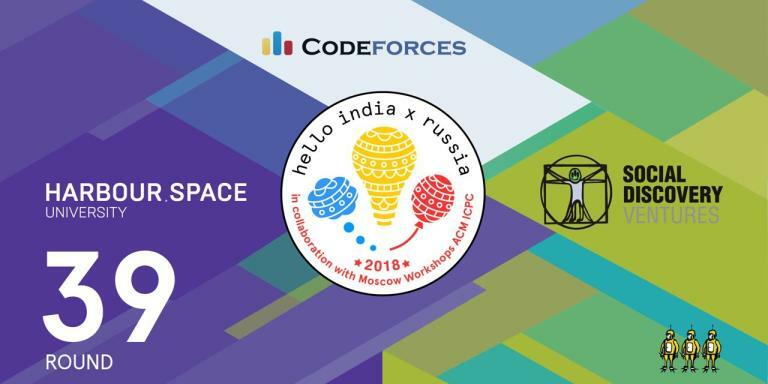 We are pleased to announce the 1st Hello India x Russia Programming Bootcamp, with Amrita School of Engineering, Moscow Institute of Physics and Technology in collaboration with Moscow Workshops ACM ICPC, and of course Codeforces! The boot camps will be held from March 22nd to the 30th in both India and Russia. 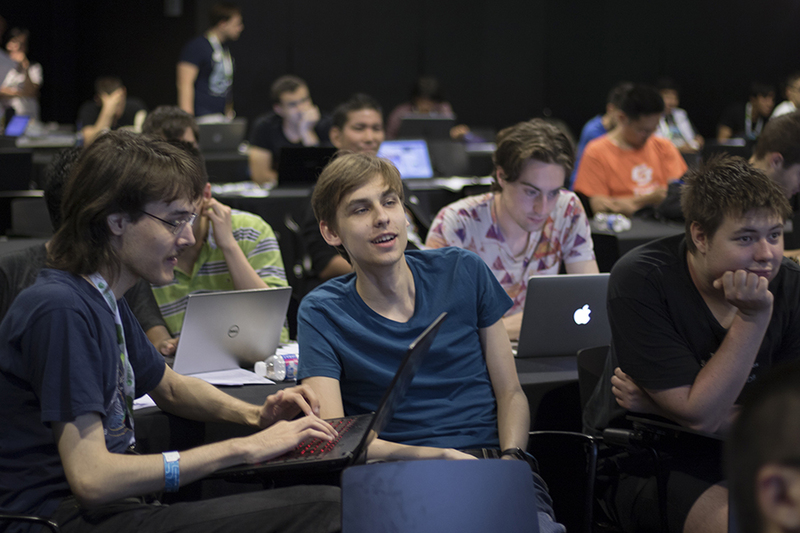 We would like to bring your attention to the new Bootcamp Features: Hello India x Russia Programming Bootcamp and Moscow Workshops ACM-ICPC will be running both boot camps side by side, every day each camp will be competing in parallel, 7,500 kilometers from each other. 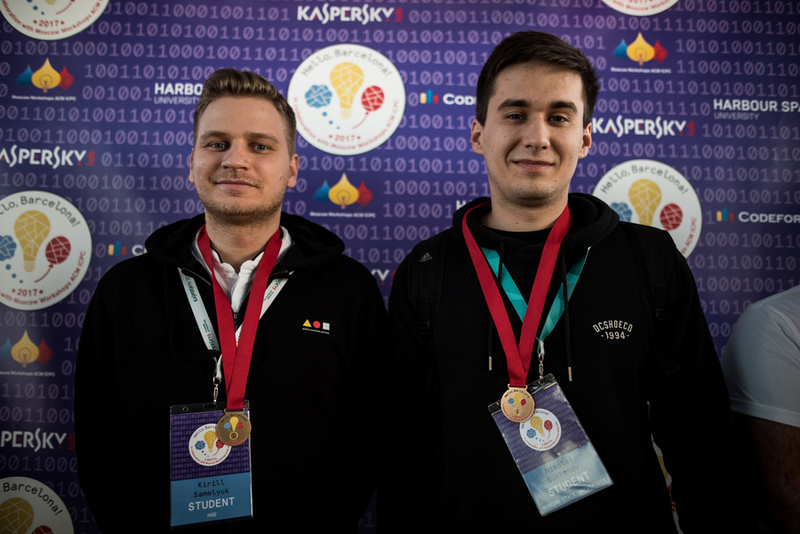 In India and Russia, the Coordinators of the Programming Committee will be both Gleb GlebsHP Evstropov and Michael Endagorion Tikhomirov, respectively. On December 12, 18:05 MSK Educational Codeforces Round 34 will start. This round will be rated for Div. 2 again. It will be held on extented ACM ICPC rules. After the end of the contest you will have one day to hack any solution you want. You will have access to copy any solution and test it locally. The problems were prepared by Mikhail PikMike Piklyaev, Ivan BledDest Androsov and me. We are offering a Scholarship for each of our three tech programmes: Data Science, Computer Science and Cyber Security — fill out the Form for the January 2018 programme start period or the September 2018 programme start period. We will contact you soon. Can't wait to see you here! 1528 successful hacks and 786 unsuccessful hacks were made in total! On November 23, 18:05 MSK Educational Codeforces Round 33 will start. As an experiment, the round will be rated for Div. 2. It will be held on extented ACM ICPC rules. After the end of the contest you will have one day to hack any solution you want. You will have access to copy any solution and test it locally. The problems were prepared by Mikhail PikMike Piklyaev, Vladimir 0n25 Petrov and me. 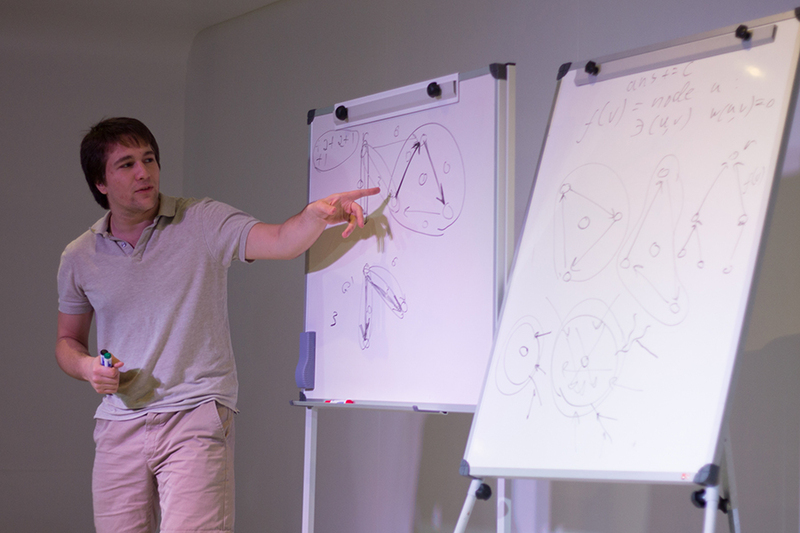 Combinatorics and graphs with Sergey Nikolenko, Researcher, Steklov Mathematical Institute at. St. Petersburg. He is a computer scientist with vast experience in machine learning and data analysis, algorithms design and analysis, theoretical computer science, and algebra. Algorithms and Data Structures with Edith Elkind, Professor University of Oxford, Department of Computer Science. She researches game theory and the computation of social choices. She looks at the decisions involved in multi-agent systems such as auctions, elections and co-operative games. Big Data Analysis: Mapreduce, Spark, BigTable/HBase, Distributed Data with Pavel Klemenkov and Alexey Dral. With HDFS, MapReduce, Spark, and NoSQL, students will master and sharpen their knowledge in basic technologies of the modern Big Data landscape. Parallel and Distributed + High Performance Computing with Dalvan Griebler. The name says it all. Learn how to run your programs faster. On November 09, 18:05 MSK Educational Codeforces Round 32 will start. The round will be unrated for all users and will be held on extented ACM ICPC rules. After the end of the contest you will have one day to hack any solution you want. You will have access to copy any solution and test it locally. The problems were prepared by Mikhail PikMike Piklyaev and me. Thank you for taking part in the 2nd Hello Barcelona Programming Bootcamp in collaboration with Moscow Workshops ACM ICPC. It was a pleasure to have you on board. We hope you enjoyed it and we would love to have you back next time. 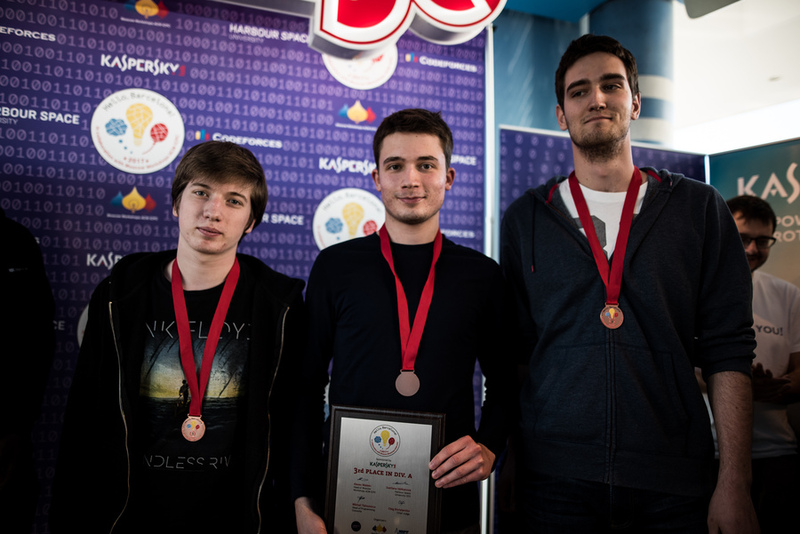 Congratulations ITMO and Harbour.Space University teams for winning divisions A and B! It was amazing watching the scoreboard throughout all nine days as teams from New South Wales, Saint Petersburg, Tokyo, among many others, challenged the top spots. Watch the recap here! 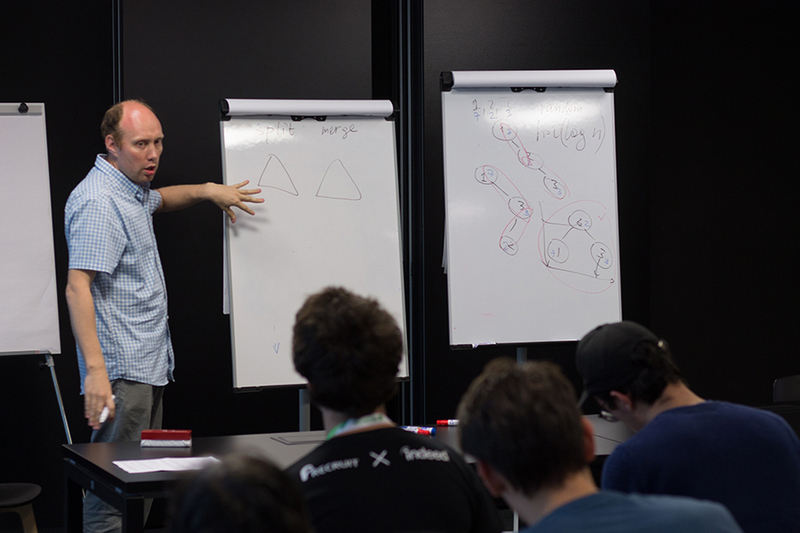 Lecturing both divisions A and B, Andrey brought a vast wealth of knowledge to the boot camp, and shed light on how to better tackle the problem sets that teams will face in their upcoming regional competitions. Leisure day was a full one, with bus city tours, to gaming, to lectures and workshops. 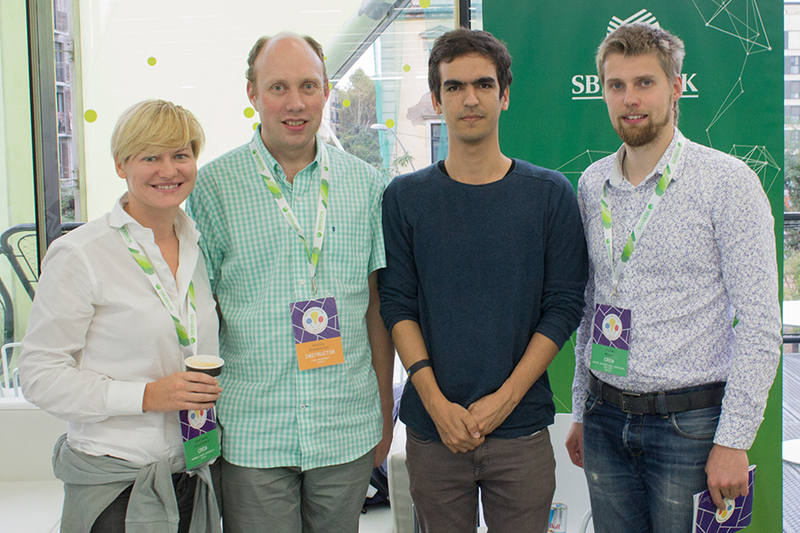 We had many special guests Sberbank, including Alexey Dral, who talks about the impact of a boot camp that is not only focused on the coding aspect, but the machine learning, the data processing and the practices that each participant can utilise to become an ACM-ICPC competitor to be reckoned with. 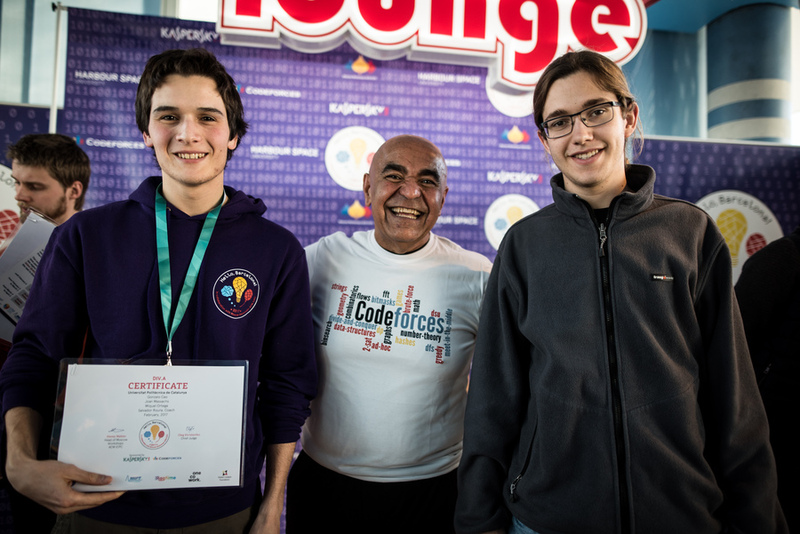 The Codeforces Round #438 by Sberbank and Barcelona Bootcamp (Div. 1 + Div. 2 combined) is going to be held on 05 Oct at 9:05 (UTC+2)! The round will be rated for everyone. This round is organised in collaboration with 2nd Hello Barcelona ACM ICPC Bootcamp 2017 and supported by Sberbank, the biggest commercial and investment bank of Central and Eastern Europe, with over 175 years of history. 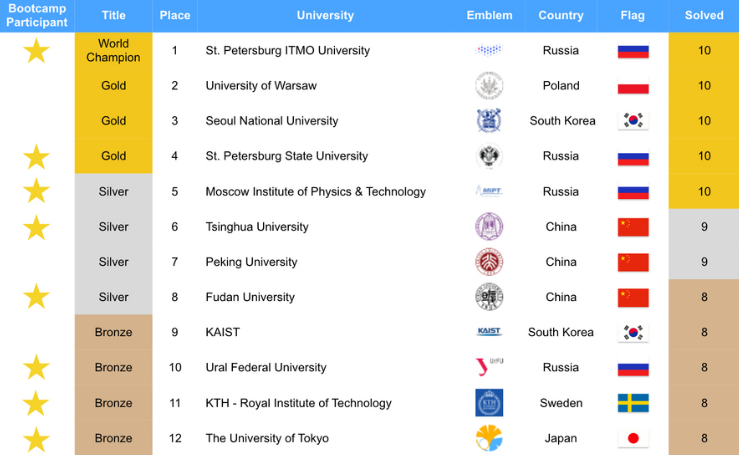 150 students from 53 universities, including ITMO, University of New South Wales, St. Petersburg State University, MIPT, Ural Federal University, Tomsk State University, Novosibirsk State University, Saratov State University, Samara National Research, Perm State University, and many other top global universities such as USA’s highest placing team, Central Florida University, along with Canada’s University of Waterloo, high-scoring Asian teams from Hangzhou Dianzi and Singapore, and Tokyo University, as well as Stockholm’s KTH, will be competing as individuals for the online round, which includes those of you from Codeforces! The past week has been full of intense competitions, job interviews with Sberbank, and contest analysis and lectures by Andrey Stankevich (Andrewzta), Mike Mirzayanov (MikeMirzayanov), Gleb Evstropov (GlebsHP), Artem Vasilyev (VArtem) and Mikhail Tikhomirov (Endagorion). 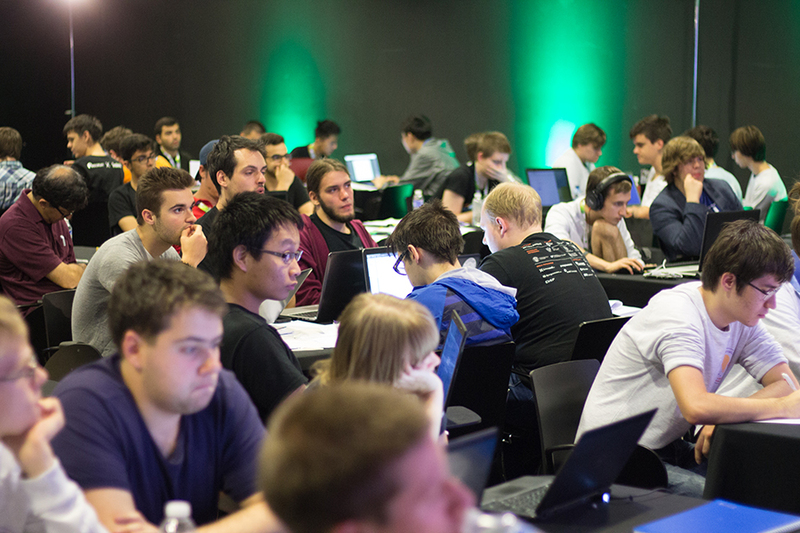 The event is completely international, as teams from all parts of the globe compete and practice side-by-side. They say a picture is worth a thousand words, so here is a selection to give you some idea of what’s happening at our boot camp. And, once again, we can’t wait to see you all compete on the international stage, smoothing the road towards the April World Finals in Beijing. 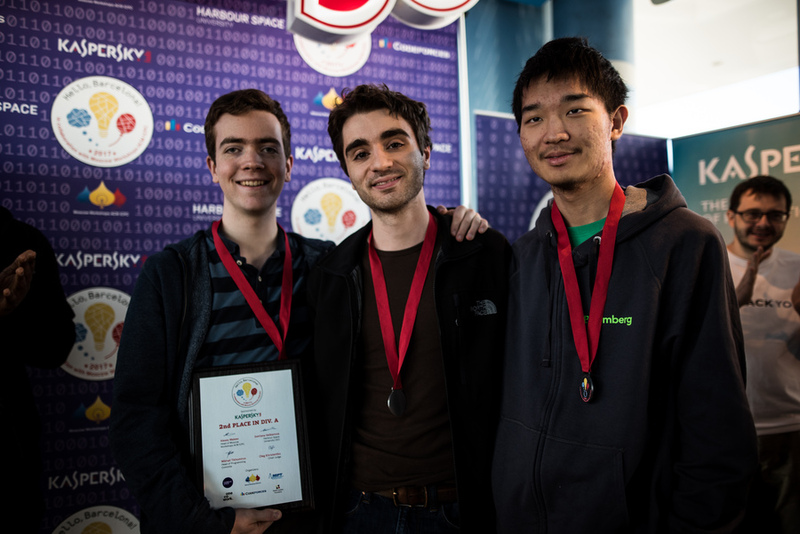 The round’s creators are Endagorion, ifsmirnov, zemen and Arterm — team MIPT Jinotega, two-time medalist ACM-ICPC World Final (2016-17). The round is combined for both divisions, will contain seven problems and last for three hours. UPD: Thanks for participating, glory to the winners! 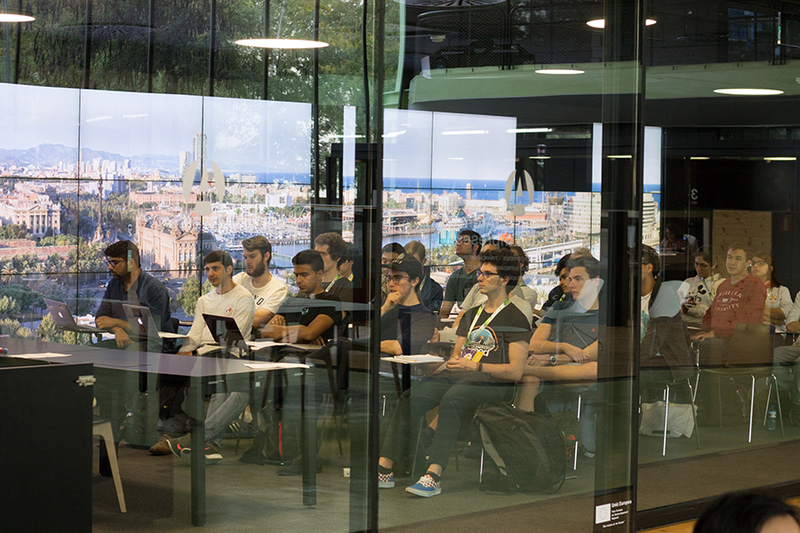 We will publish the editorial as soon as the Barcelona Bootcamp activities conclude. UPD2: the English editorial is here. On September 21, 18:05 MSK Educational Codeforces Round 29 will start. The problems were prepared by Mikhail PikMike Piklyaev, Mikhail MikeMirzayanov Mirzayanov, Vladimir 0n25 Petrov and me. On September 05, 18:05 MSK Educational Codeforces Round 28 will start. UPD. Editorial can be found here. 169 successful hacks and 113 unsuccessful hacks were made in total! On August 3, 18:05 MSK Educational Codeforces Round 26 will start. The problems were prepared by Ivan BledDest Androsov, Alexey Perforator Ripinen, Mike MikeMirzayanov Mirzayanov and me. Don’t miss your chance to be a part of this leader board in the next ACM-ICPC World Finals by reserving your spot in the 2nd Hello Barcelona Programming Bootcamp in collaboration with Moscow Workshops ACM ICPC. 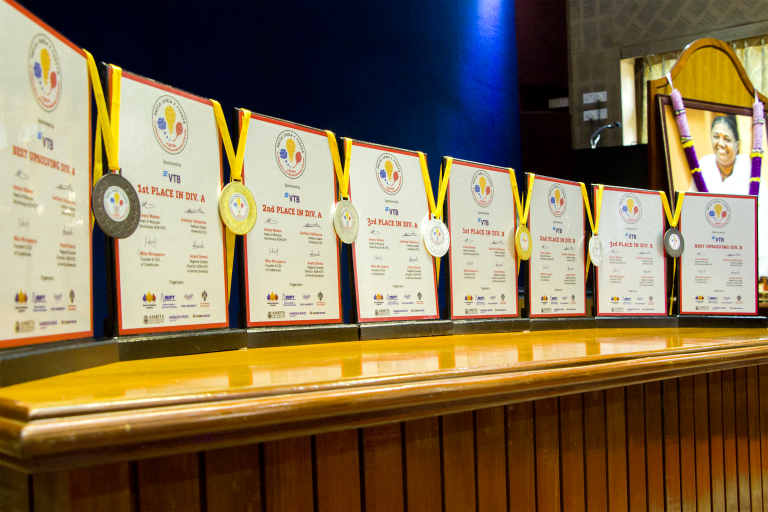 Check out the winning statics of Universities that participated in this special training — World Finals 2017 Results. 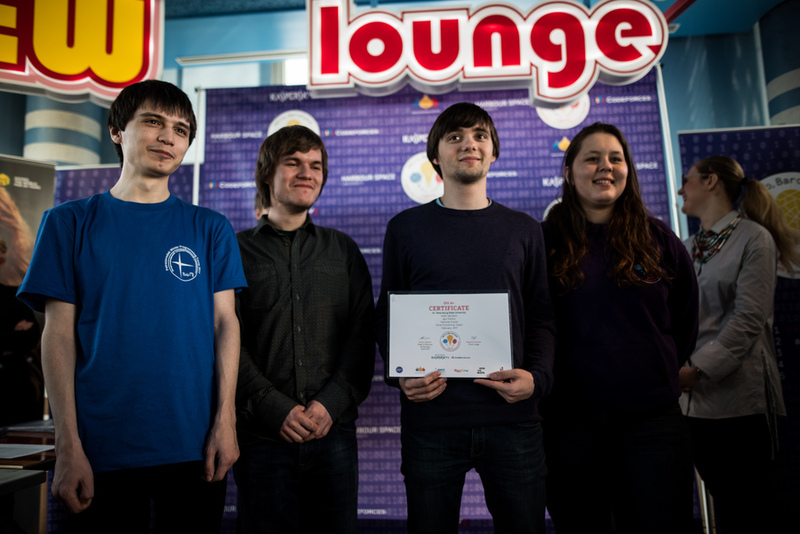 8 out of 12 prize-winners of the World Finals 2017 participated in Moscow Workshops ACM-ICPC! 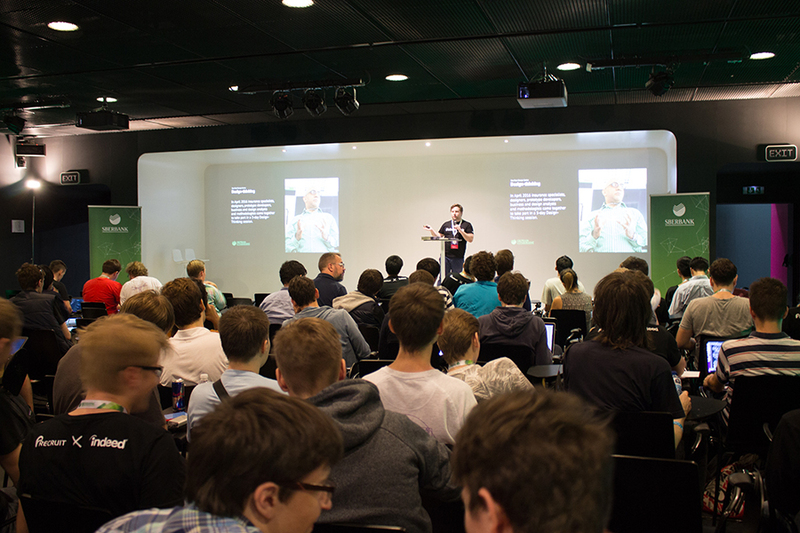 Take a look back on our previous "Hello Barcelona ACM-ICPC Bootcamp, in collaboration with Moscow Workshops ACM-ICPC". 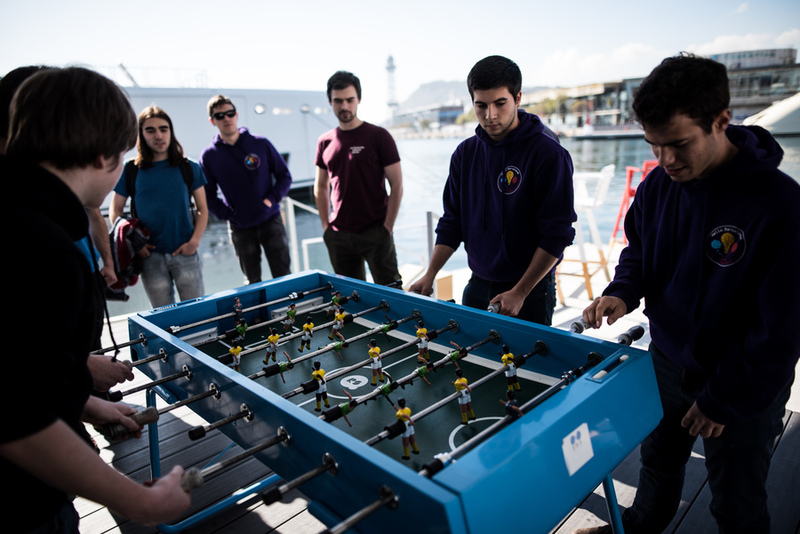 Students and coaches from all over the globe gathered at our campus to learn from and work with the world’s top programmers, soak in the Barcelona sun, and share in the comradery built within the programming community. Harbour.Space University is looking forward to hosting again, this time at the beautiful and technologically mind bending Media-TIC building. 1361 successful hacks and 513 unsuccessful hacks were made in total! On July 16, 18:05 MSK Educational Codeforces Round 25 will start. The problems were prepared by Ivan BledDest Androsov and me. UPD: The editorial can be found here. 929 successful hacks and 587 unsuccessful hacks were made in total! On June 29, 18:05 MSK Educational Codeforces Round 24 will start. You will be given 7 problems and 2 hours 15 minutes to solve them. The problems were prepared by Mikhail PikMike Piklyaev, Alexey Perforator Ripinen and me. Nowadays machine learning technologies are widely used in practice in various applied fields such as retail, mass media, PR and marketing, banking, telecommunications, manufacturing, science and many other areas. We are pleased to announce our Industrial Machine Learning course, aimed to teach the structure and the life cycle of the machine learning process and covers topics ranging from the problem statement to final quality assessment as well as estimation of the economic effect. 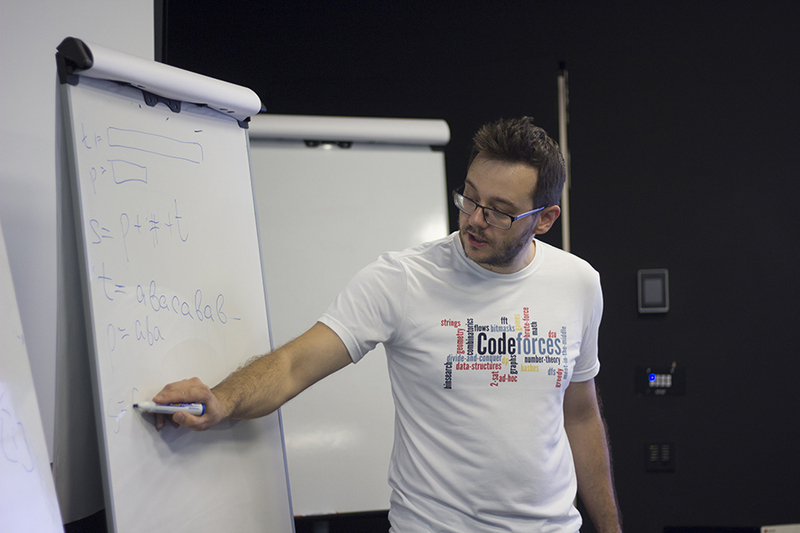 This course is taught by two Data Scientists from Yandex, Emeli Dral and Victor Kantor. Emeli Dral is the Head of Predictive Analysis, whereas Victor Kantor is the Head of User Behaviour Analysis Group at Yandex. They share with us their knowledge on everything from the most promising applications of data science today to applying the latest advancements in machine learning to your work. On June 15, 18:05 MSK Educational Codeforces Round 23 will start. The problems were prepared by Mikhail PikMike Piklyaev, Vladimir 0n25 Petrov and me. Huge thanks to Alexey Perforator Ripinen, Alexey ashmelev Shmelev and Maxim HellKitsune Finutin for testing! UPD. 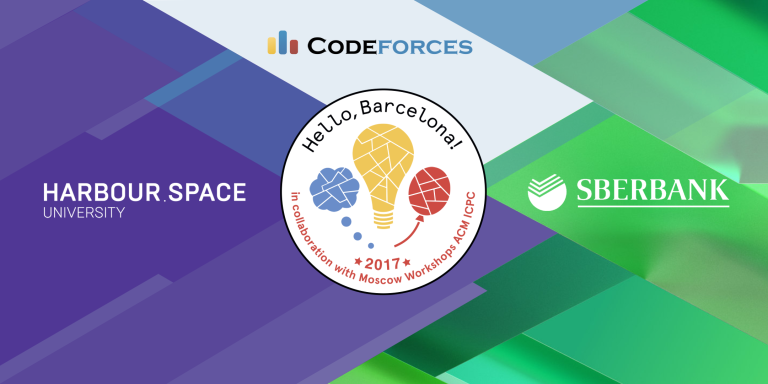 I am pleased to announce the 2nd Hello Barcelona Programming Bootcamp in collaboration with Moscow Workshops ACM ICPC, which will be hosted by our partner Harbour.Space University together with Moscow Workshops ACM ICPC, ITMO University, Moscow Physics and Technology University, Saint Petersburg State University and Codeforces! UPD: The editorial is published. 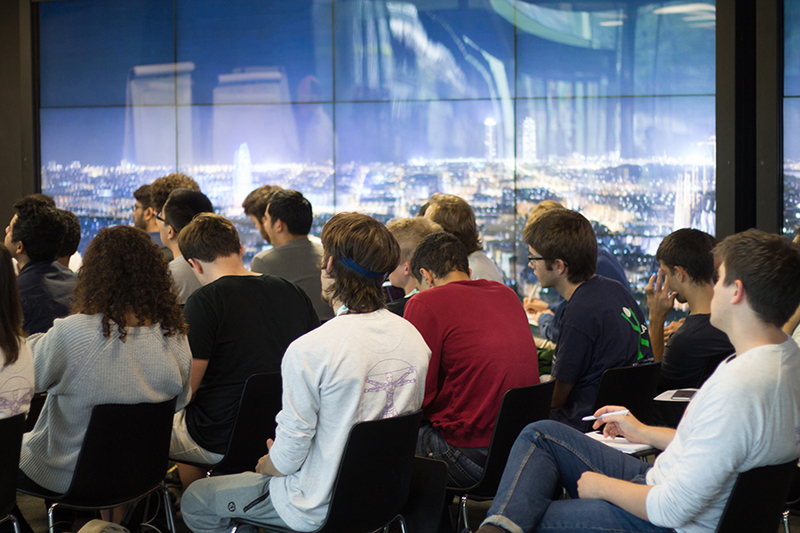 I am pleased to announce the 2nd Hello Barcelona Programming Bootcamp in collaboration with Moscow Workshops ACM ICPC, which will be hosted by our partner Harbour.Space University together with Moscow Workshops ACM ICPC, ITMO University, Moscow Physics and Technology University, Saint Petersburg State University and Codeforces! 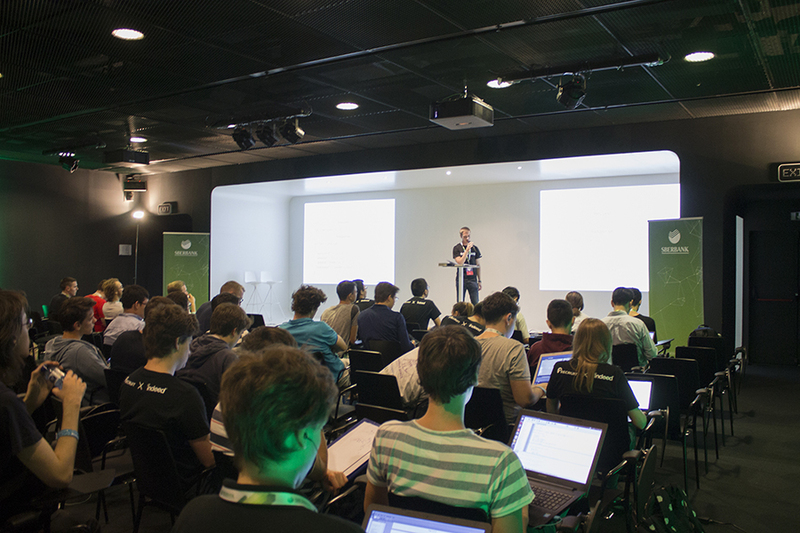 The boot camp will be held from September 27th to October 5th in Barcelona. This time it will be at the beautiful and technologically mind-bending Media-TIC building — the Smart Building of Tomorrow. The world's greatest coaches will be attending: Andrew andrewzta Stankevich, Michael Endagorion Tikhomirov, Gleb GlebsHP Evstropov, Artem VArtem Vasilyev and other world renowned Russian coaches. As a coach, I will come too. The Chief Judge of the camp is Oleg snarknews Khristenko. Seriously, it will be a unique opportunity for teams around the world to learn from such well-known and successful coaches in the ACM-ICPC world. 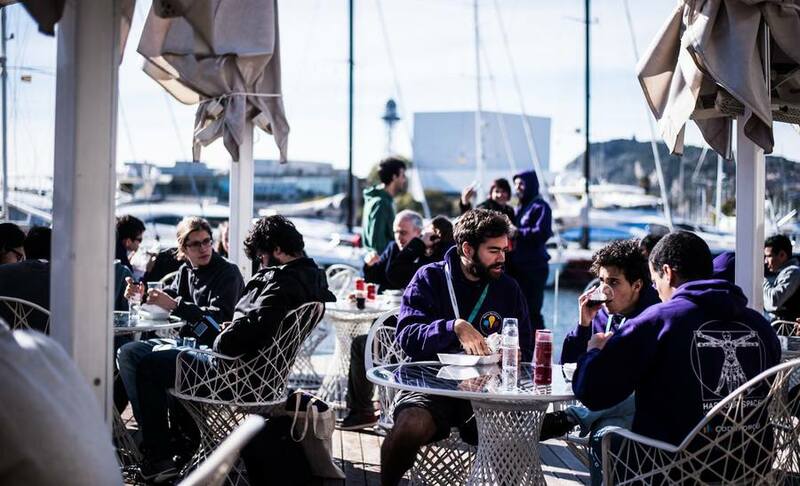 Having visited the first Hello Barcelona programming Bootcamp in February, I left the event feeling inspired from the overall atmosphere. I am sure that all teams received an immense amount of knowledge and skills. As one of the coaches, all of the flattering reviews about the camp from the participants were pleasant for me to hear. I am very glad that these camps are becoming regular. Harbour.Space University and Moscow Workshops ACM ICPC have done a job worthy of admiration! Division A. 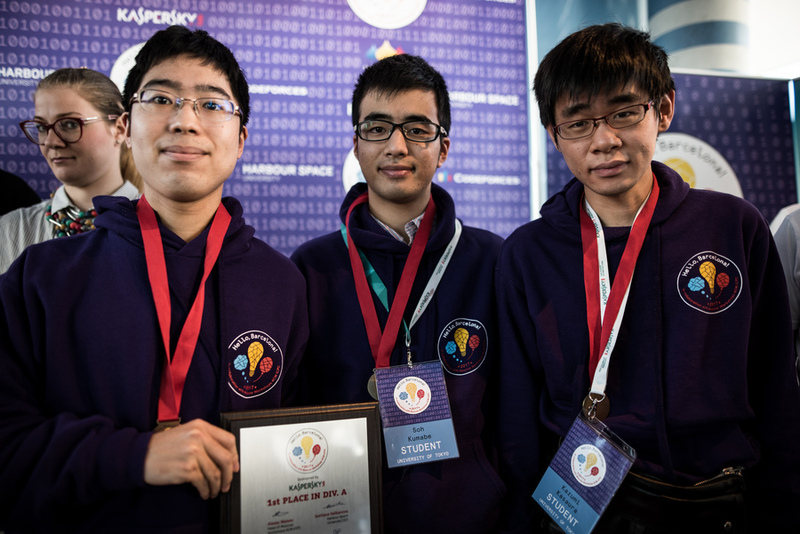 Designed to prepare students to excel and win medals in the next ACM-ICPC World Finals. Division B. 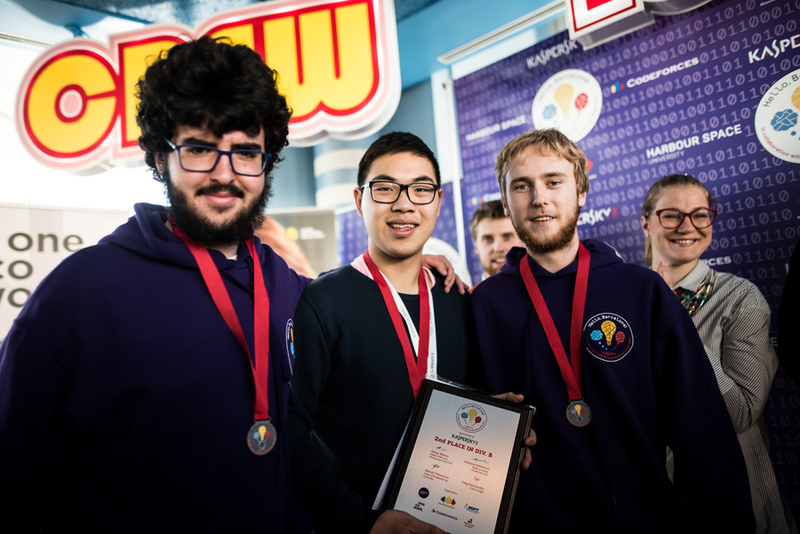 Designed to help teams prepare for the next season of ACM-ICPC Regionals and international competitions. This is an appropriate introduction for teams and students new to the world of ACM ICPC and competitive programming competitions in general. The Division B curriculum features thematic lectures and contests. The participation fee is unchanged: €1270 per person (cultural program, accommodation and half-board meals included). Single participants and teams must register by July 1st, 2017 to receive the 15% off-Early Bird Discount, or the 20% off-Loyalty Discount, which is awarded to teams that participated in previous Moscow Workshops ACM ICPC boot camps. 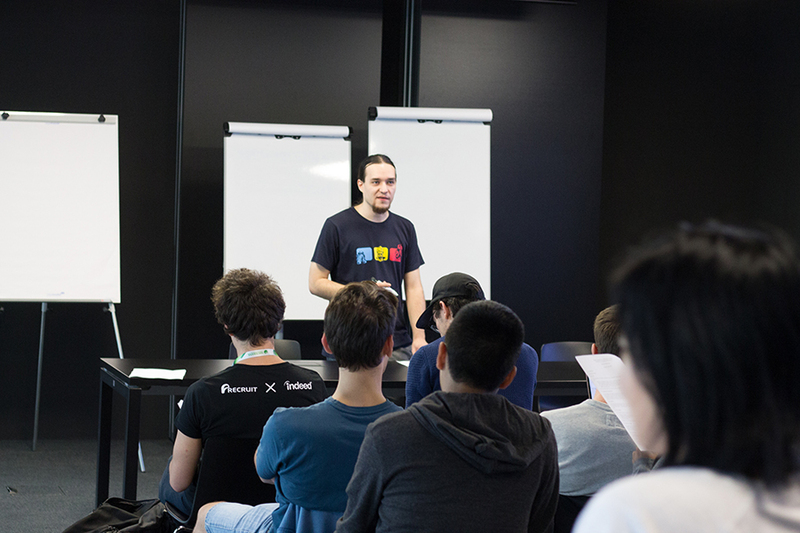 In order to experience the atmosphere of the event, I suggest you familiarize yourself with the photos and videos from the 1st Hello Barcelona programming Bootcamp in collaboration with Moscow Workshops ACM ICPC. On June 05, 18:05 MSK Educational Codeforces Round 22 will start. Series of Educational Rounds continue being held as Harbour.Space university initiative! You can read the details about the cooperation between Harbour.Space and Codeforces in the blog post. You will be given 6 problems and 2 hours to solve them. We tried to design the problems in such a way that both beginners and experienced programmers can find something interesting in the contest. The problems were prepared by Mikhail PikMike Piklyaev, Vladimir 0n25 Petrov and me. Huge thanks to Maxim HellKitsune Finutin and Alexey ashmelev Shmelev for testing the contest! On May 15, 18:05 MSK will be held Educational Codeforces Round 21. You will be given 7 problems and 2 hours 30 minutes to solve them. We hope that everyone will find something interesting in this contest. The round was prepared by Mikhail PikMike Piklyaev, Mikhail MikeMirzayanov Mirzayanov and me. Here is message from Igor Maksimov, Harbour.Space University. I want to make an announcement of the upcoming 2nd Hello Barcelona ACM-ICPC Bootcamp that will take place in Barcelona from the 27th of September until the 4th of October 2017, in collaboration with Moscow Workshops ACM ICPC, is an opportunity for teams of different levels to prepare for successful participation in ACM ICPC. Division B. Division B. 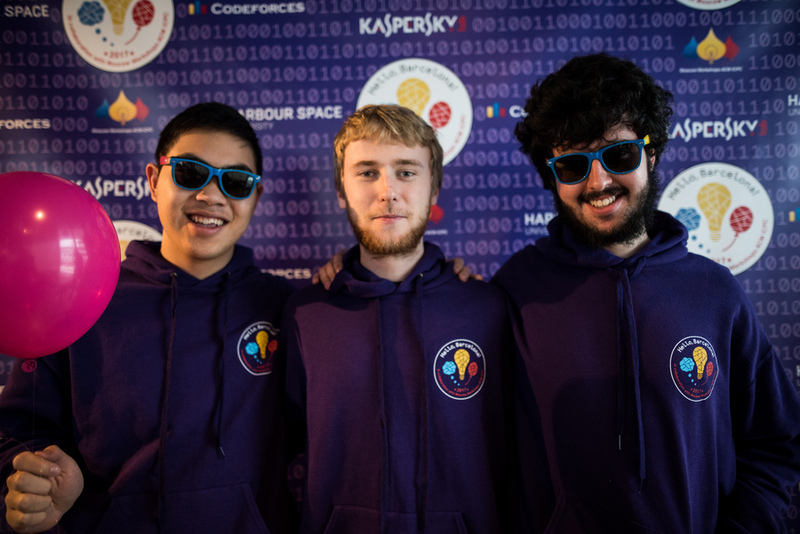 Designed to help teams prepare for the next season of ACM ICPC Regionals and international competitions. This is an appropriate introduction for teams and students new to the world of ACM ICPC and competitive programming competitions in general. The Division B curriculum features thematic lectures and contests. 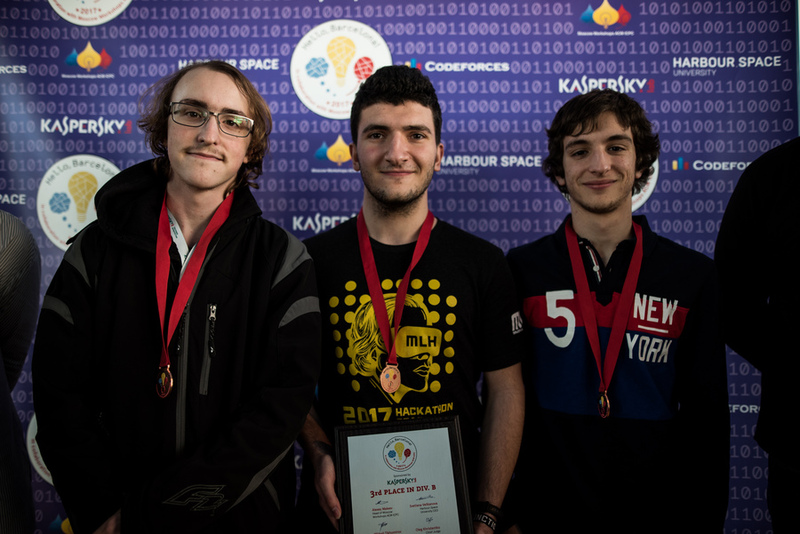 Harbour.space University introduce the video about the 1st ACM-ICPC Programming Bootcamp held in February, 2017. 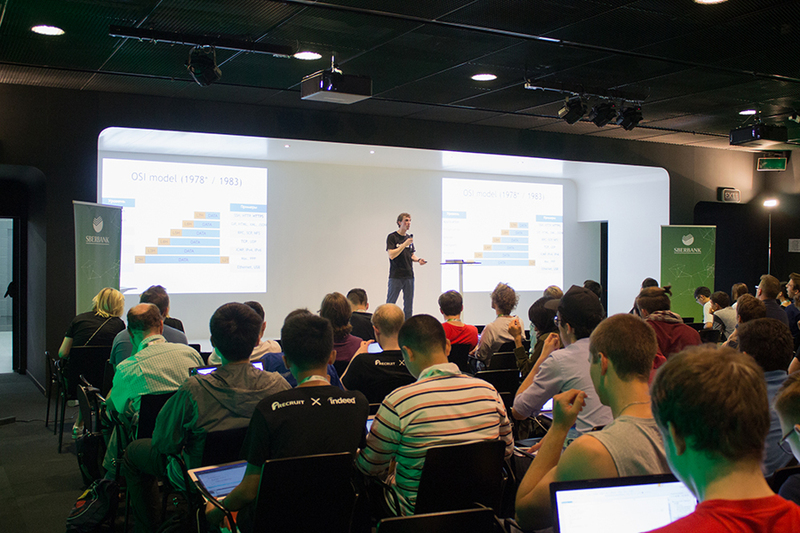 Take a part of the upcoming 2nd Hello Barcelona ACM-ICPC Bootcamp that will take place in Barcelona from the 27th of September until the 5th of October 2017. On April 28, 18:05 MSK will be held Educational Codeforces Round 20. Harbour.Space University offers a unique opportunity to win a FULL SCHOLARSHIP for #womenintechIndia and join our amazing Data Science, Computer Science or Cyber Security Master's Programme in Barcelona, Spain! Follow this link to complete the application form. The round will be unrated for all users and it will be held with extented ACM ICPC rules. After that you will have one day to hack any solution you want. You will have access to copy any solution and test it locally. You will be given 7 problems and 2 hours 15 minutes to solve them. Though this round may come a bit harder than two previous ones, we still hope that everyone will enjoy problems. The round was prepared by Ivan BledDest Androsov, Mikhail MikeMirzayanov Mirzayanov and me. 324 successful hacks and 209 unsuccessful hacks were made in total! On April 15, 17:35 MSK will be held Educational Codeforces Round 19. This Educational Round is held as Harbour.Space university initiative. It's the second round supported by Harbour.Space. You can read the details about the cooperation between Harbour.Space and Codeforces in the blog post. Some educational programs in Harbour.Space are interesting for most Codeforces users. One of them is Data Science Program. Here is few words from Sergey Nikolenko, Harbour.Space lecturer and Senior Researcher, Steklov Institute of Mathematics at St. Petersburg Russia. You will be given 6 problems and 2 hours to solve them. We tried to prepare such problems that both novices and experienced coders will find something interesting in this contest. Wish you enjoy the contest! Good luck! 234 successful hacks and 308 unsuccessful hacks were made in total! Good news! 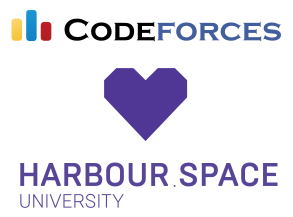 Harbour.Space is supporting the return of a new series of educational rounds on Codeforces! You can read the details in the blog post. On March 27, 17:35 MSK will be held Educational Codeforces Round 18. You will be given 6 problems and 2 hours to solve them. 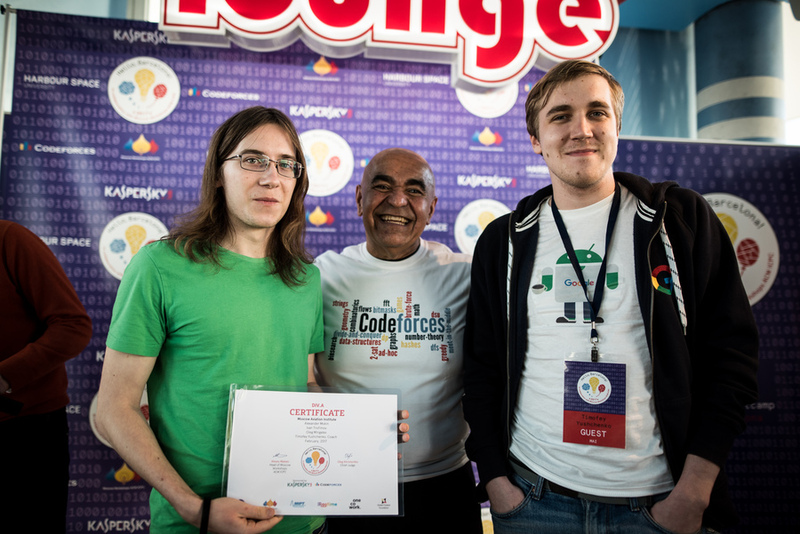 We hope that everyone, both novices and experienced coders, will find something interesting in this contest. The contest will be unrated. The round was prepared by Mikhail PikMike Piklyaev, Mikhail MikeMirzayanov Mirzayanov and me. We'd like to thank Maxim HellKitsune Finutin and Alexey ashmelev Shmelev for testing the round. UPD2: All successful hacks have been added to the testsets, all submissions have been rejudged. Thank you for participating in the contest! Server time: Apr/20/2019 02:19:33 (d1).